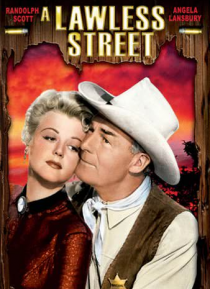 Randolph Scott stars as Marshal Coleen Wave, a lawman who moves from town to town in the Colorado Territory, ridding each of its outlaws. His dedication to his job causes his wife, played by Angela Lansbury (TV's "Murder She Wrote"), to leave him. She will not come back to him until he has hung up his guns for good. But he is determined to clean up one last town, run by bandits, who don't want to … see the territory become a state.